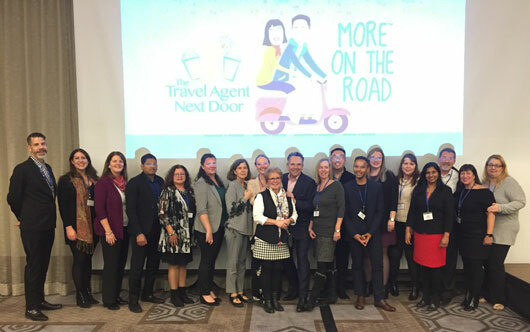 The team from Travel Agent Next Door is pictured at their roadshow in Toronto after completing events in Vancouver, Edmonton, Calgary, Winnipeg, Moncton, Ottawa and Hamilton. The Toronto show was also streamed live to agents who were unable to attend any of the shows. Featured were four key suppliers who conducted presentations – Collette, AMA Waterways, CIE Tours and Air Canada. TTAND also launched its new marketing system which makes it easier for agents to manage their client list and tailor marketing to suit individual clients.